At twenty-two years old, William Wright set out to transcribe and publish the travelogue manuscript of the medieval Muslim pilgrim, Abu ‘l-Husayn Muhammad ibn Ahmad Ibn Jubayr. By all accounts, he accomplished his task masterfully. In 1852 the resources available to the young scholar were few, and studies of the Orient a far cry from modern Middle Eastern and Islamic scholarship. Prior to Wright’s efforts, Western scholars had hardly mentioned Ibn Jubayr’s travel account. 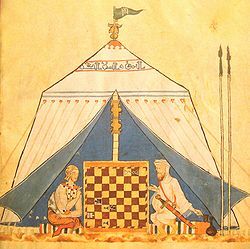 Wright noted in his preface that at the time of publication he knew of only two orientalists, Reinhart Pieter Anne Dozy and Michele Amari, who had commented on Ibn Jubayr’s 1183-85 journey from Al-Andalus to Mecca and back. At twenty-two years old, I have embarked on a task of much humbler proportions and worked in significantly more ideal circumstances. In the century and a half that has passed since Wright began his work, remarkable strides have been made in the study of Middle Eastern and Islamic cultures. Many more scholars have been able to access manuscripts of Ibn Jubayr’s account and interpret them. Due to the availability of new technologies and resources, I have been able to access many of these commentaries and conduct further research in a manner markedly different than even the most recent generation of historians.